This text contains an up-to-date survey of theory, research and practice in environmental psychology, drawing on international literature. It adopts the perspective that physical and social factors are inextricably linked in their influence on human behaviour and experience and that the world in which we live is changed and often damaged by human action. 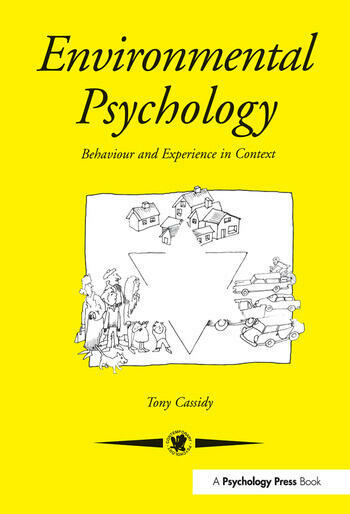 ; Throughout the text, the issues which are important in contemporary psychology, such as levels of explanation, methodological diversity and the relationship between psychology and other disciplines, are brought to the fore. The text covers established areas of environmental concern and also brings together research on rarely covered topics, such as the effects of smell, colour and light, and the way in which physical environments influence social identity. Part 1 Environmental psychology - what it is and what you should know about it: what is environmental psychology? ; the roots of envrionmental psychology; the person in the equation; plan of the text. Part 2 Theory and method in environmental psychology: theories looking inward; theories that assume interaction. Part 3 The context of behaviour and experience: behaviour settings - setting the scene; threat and challenge - environmental stress; power, control and autonomy within the environment; social support. Part 4 The environment through the senses: sensing the environment; weather and climate. Part 5 The human impact on the environment: the human atmosphere - chemical pollution; disasters or cataclysmic events; chemicals, technology and psychology. Part 6 Urbanbization, movement and space: urbanization; people in space; crowding; privacy; the pleasure and pain of travel. Part 7 Environmental design: individual differences and design; democracy in design. Part 8 Using and abusing the environment: the natural world and behaviour; social and commons dilemma; summary. Part 9 Environmental psychology, looking forward: an international perspective.